The 1890 Federal Census was destroyed by a 1921 fire at the United States Commerce Department in Washington D.C. What was not incinerated was flooded with the water used to extinguish the fire. A plethora of irreplaceable genealogical information was lost that day. Fortunately the State of Michigan took an 1894 States Census with much the same information that can be used as an 1890 Federal Census substitute. There are very few differences between the Censuses. 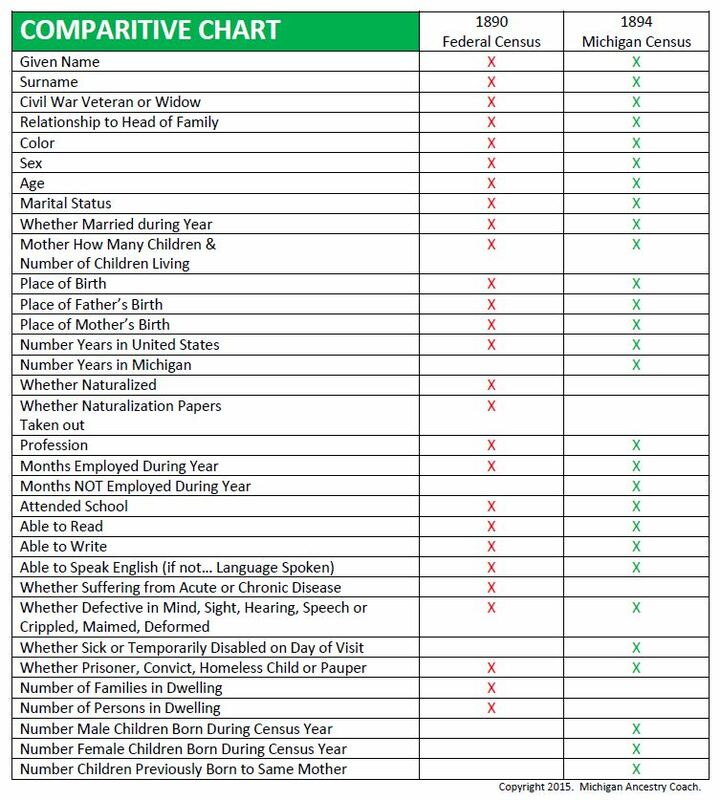 Really the only information lacking on the 1894 Michigan State Census that was found on the 1890 Federal Census is Naturalization information as well as the number of Families found in single dwelling. 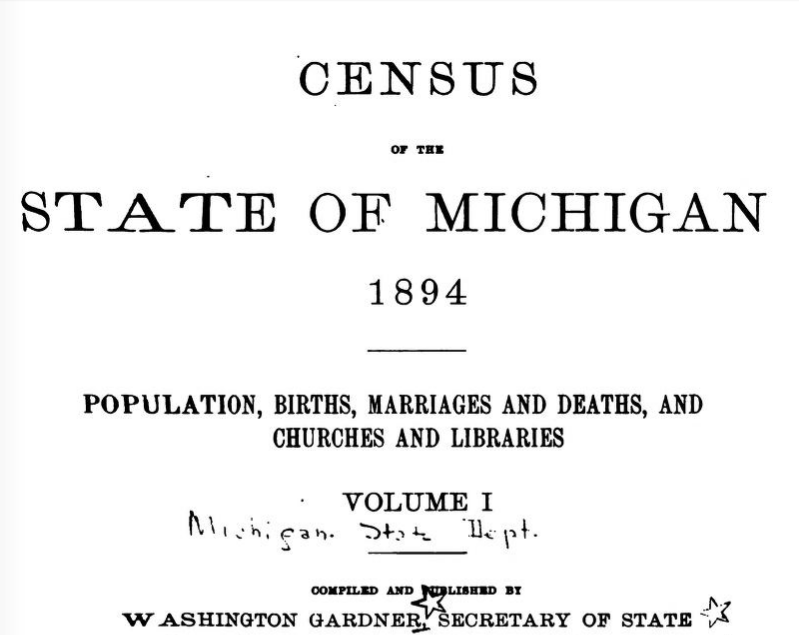 The 1894 Michigan Census actually contains more information than its predecessor. What can be significant and useful is the column marked “Children Born to the Family During Census Year”. Not only are the children marked with month of birth but the total number of children born prior to 1894 is enumerated. This is useful when determining if there were any infant deaths that fell between the Censuses that would not be enumerated. In summary, though the 1921 fire that consumed the 1890 Federal Census was a certain tragedy, rest assured that the 1894 Michigan State Census is a relative substitute with more information given than its forerunner.